Most people believe that Italians invented pizza, but the delicious baked bread with toppings is seen in many other cuisines. The history of pizza – in the style we are most familiar with today – is often attributed to Naples, Italy. Although, similar dishes can be traced back to a few other locations. Pissaladière from Provence, coca from Catalan, and lahma bi ajeen from the Middle East are all very similar to what we identify as pizza. The classic pizza, open-faced dough with tomato sauce and mozzarella cheese was first brought to attention by Raffaele Esposito in Naples in 1889. He created the dish to honor King Umberto and Queen Margherita’s visit using colors of the Italian flag, green, red, and white – basil, tomatoes, and mozzarella! This is where the name for the Margherita pizza comes from! At least, that is what the rumor says! Here in the states, Italian immigrants sold pizza in their stores with the first ever pizzeria opening in 1905 in New York City! 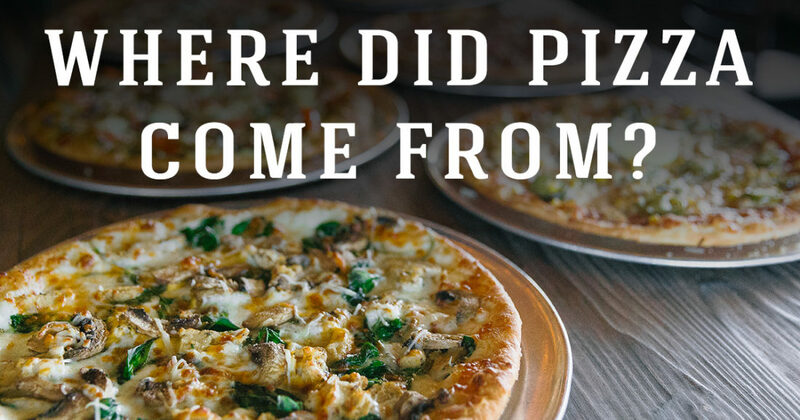 It wasn’t until after World War II in 1945 that pizza really caught on stateside, though. Many of the soldiers stationed in Italy tasted pizza and brought the love of the pizza pie home with them!